Fictitonal Blog for the Chinet Ultimate Block Party Pinterest board owned by Lesa Steele http://pinterest.com/d3sign3r/ultimate-block-party/ . Intended to further enhance the creative exoerience of the Pinterest board. 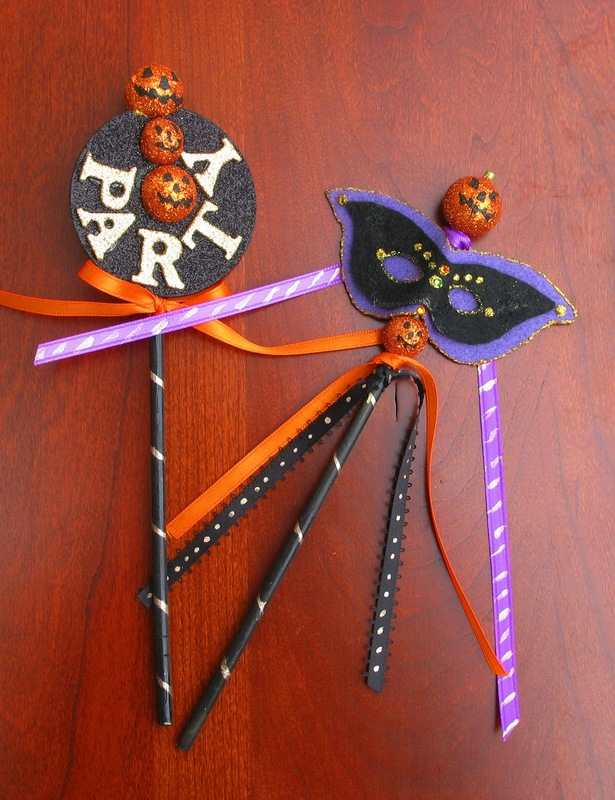 These "Twirlers" are super fun and add a real party-vibe to the decor. 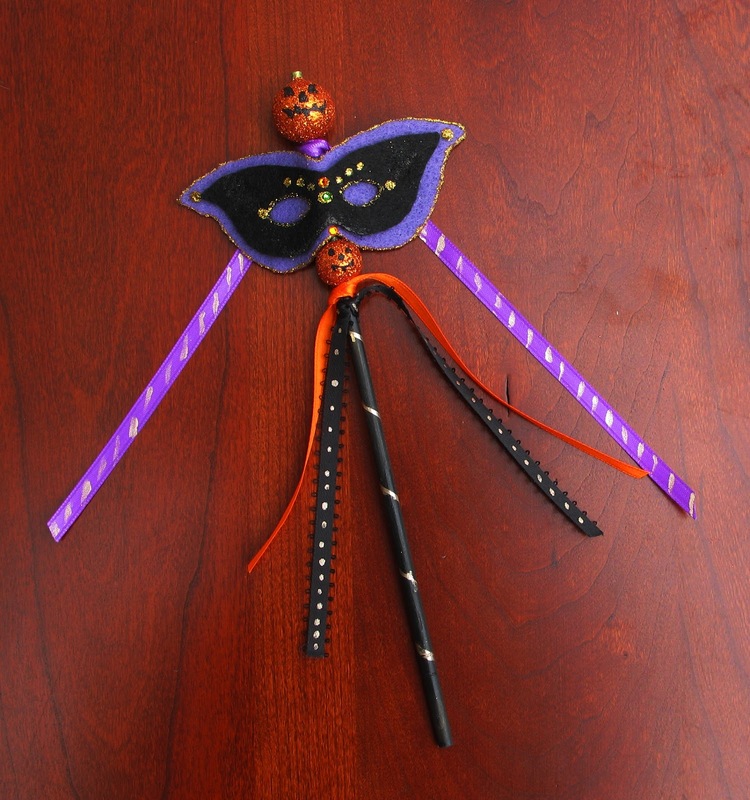 I've laid the Masquerade Twirler next to the placesetting for an additional burst of color. 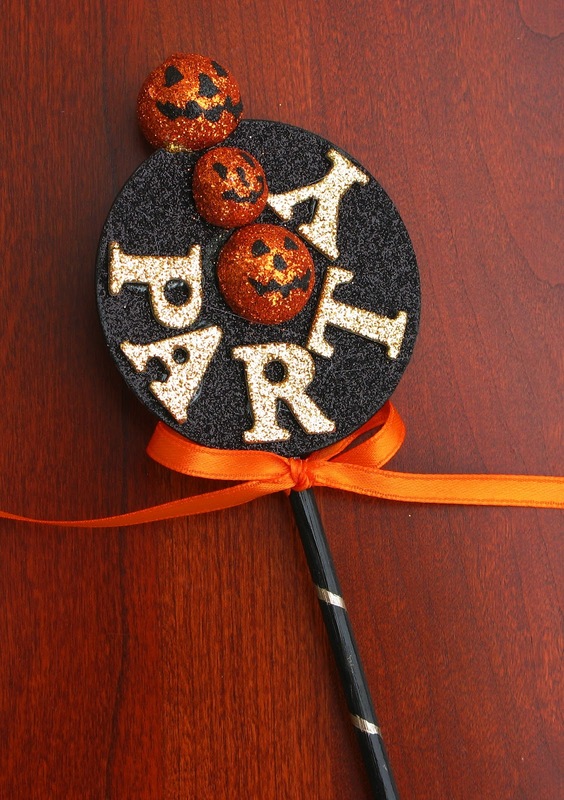 It makes a great party favor for guests to take home. You'll notice the Pumpkin Party Twirler in the Table Arrangement. 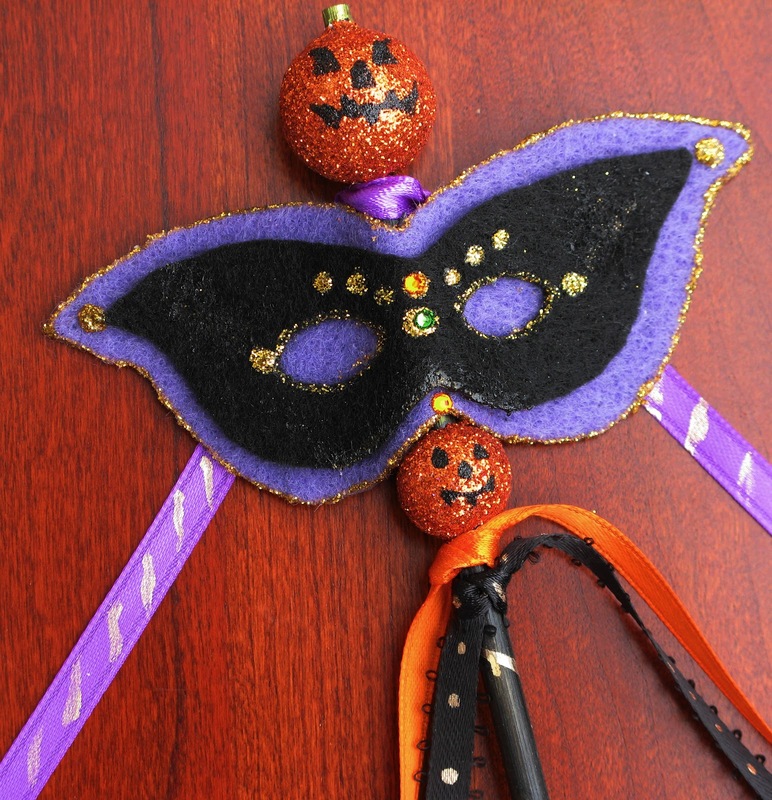 All of the supplies are basic from Michael's Crafts. The pumpkins are orange glitter foam balls that I cut in half and painted on the faces. The sticks are chopsticks. The top pumpkin is a whole ball that I just pushed down over the chopstick. I painted the gold line on the stick using Martha Stewart gold paint. The black glitter disk and gold glitter lettering are scrapbook supplies. 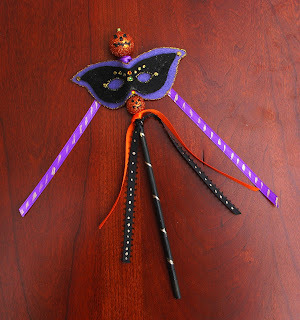 Isn't this Twirler fabulous? It looks much more difficult to make than it was. As with any craft project, do it assembly line and you'll be able to crank them out pretty quickly. 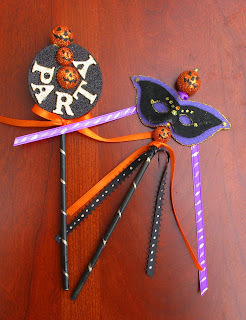 I first made the masks and painted the sticks and pumpkins. The pumpkins are pretty small; if you feel more comfortable, you can use a Sharpie to draw on the faces rather than painting them but the details won't be quite as crisp IMO. I then painted stripes and dots on the ribbons. Next I put the large pumpkin on the stick. Then I tied on the lilac ribbon, glued on the mask (using hot glue), added a small pumpkin, and finally tied on an orange and black ribbon. This Blog is fictitious, created solely for the purpose of furthering the creative enhancement of the Pinterest board http://pinterest.com/d3sign3r/ultimate-block-party/ which is a contest board created by Lesa Steele for the Chinet 2012 Ultimate Block Party contest.